No really you are permitted to wear most things in summer like shorts, but they need to be tailored, socks and golf shoes, BUT not tennis shoes. Shirts normally have to have collars, NO football shirts and for woman no mini skirts. In winter time NO jeans. The more expensive golf courses in Spain do have more of a tendency to note golfers who may try to get on the course in attire that is not accepted and to then act on it. The following should act as a guide and general rule of thumb. If you follow this, you shouldn’t have any issues at all. Football style shirts with logos, graphics, numbers, slogans etc. 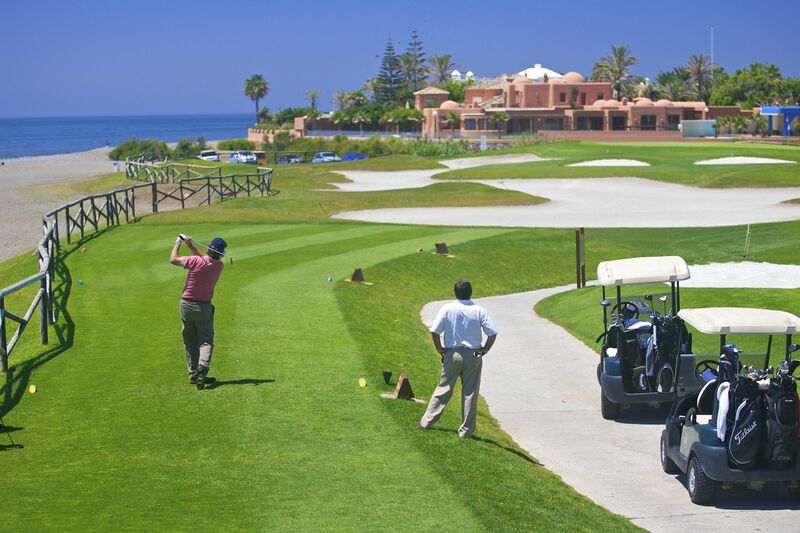 If you are planning on visiting the Costa del Sol in Spain this year for your golfing break, please consider us here at Golf Breaks In Spain.